Egypt is an open air museum for religious archeological heritage for Christians, Muslims, and Jews, Egypt is gifted with its ancient churches, Jewish synagogues, and grand mosques. Beautiful art and lovely people at all these sites welcome guests and visitors. Edu Travel Egypt has excellent itineraries which combine beautiful sights and exposure to the people either through a missionary work, interfaith dialogue, and meetings with Muslim and Christian clergy as well as viewing old manuscripts and religious architecture, all of which enriches your trip with memories for a lifetime. Join one of our experienced Christian Egyptologists and explore many venues of faith found only in Egypt. Egypt had witnessed a great time of harmony and peaceful living of all three Abrahamic religions for many years until the rise of the Islamists around 1970. At one time the total Jewish population in Egypt was around 70,000, and Jews played an active role in the economic and cultural life of Egypt, especially in mid-20th century when they prospered and had many large economic foundations that built many Jewish synagogues in Cairo and Alexandria, some of which remain in great shape while others need a lot of attention. 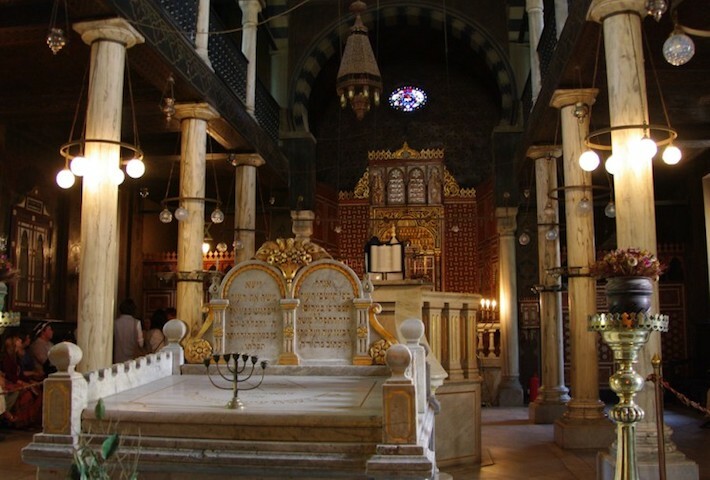 Join us to see some of these beautiful synagogues, learn about the Cairo Genizah, learn about the Jewish heritage and possibly meet with some of the remaining Jewish personnel in Cairo. A visit to Aswan will reveal more about one of the Jewish colonies from the time of the Ptolemaic Kings on the Island of Elephantine.